The song was introduced by John Raitt as "Billy Bigelow" and Jan Clayton as "Julie". 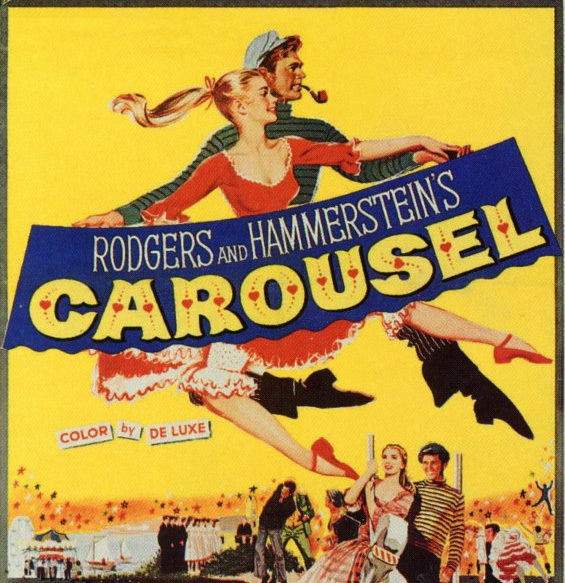 It was performed in the 1956 film version Carousel by Gordon MacRae and Shirley Jones. 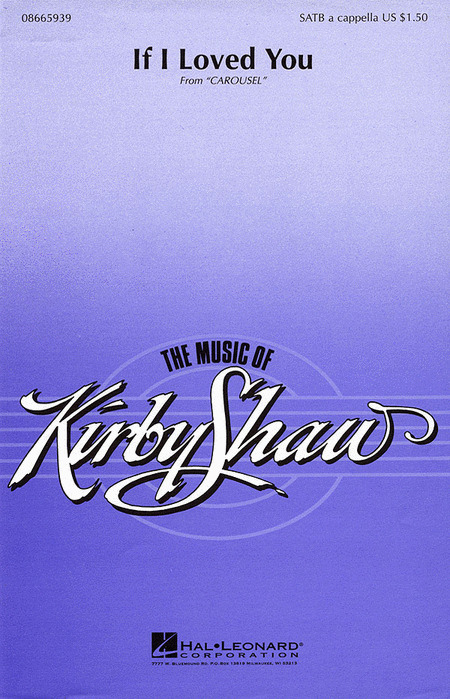 In the show, the characters of Billy Bigelow and Julie Jordan sing this song as they hesitantly declare their love for one another, yet are too shy to express their true feelings. The song was in turn inspired by lines of dialogue from Ferenc Molnár's original Liliom, the source material for the musical. There were four hit versions of the song in 1945 by Perry Como (#3), Frank Sinatra (#7), Bing Crosby (#8) and Harry James. Displaying 1-46 of 46 items. 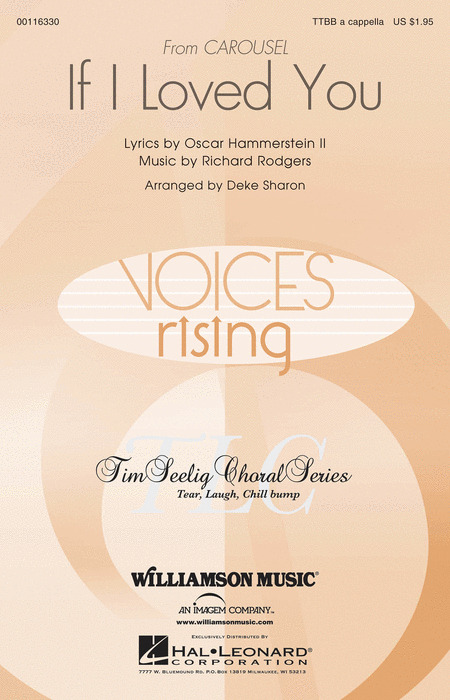 This collection features five-part arrangements of your favorite jazz standards. Most are SATB plus solo, but "Autumn Leaves" is five luscious parts. 11 selections of top Broadway music as sung by the inimitable Ms. Streisand. Includes: If I Loved You - Send in the Clowns - Can't Help Lovin' that Man - I Loves You Porgy/Porgy I's Your Woman Now - Somewhere - six more! Songlist: Anthem, Bring Him Home, If I Loved You, Luck Be A Lady, Maria, Some Enchanted Evening, This Is The Moment, Tonight, What Kind Of Fool Am I?, Why God Why? Most large audition calls for musical theatre, both professionally and in larger school situations, specify that those auditioning bring in a "16-bar" excerpt. The professionals in musical theatre often complain that singers don't know how to construct an appropriate 16-bar audition, either in choosing a song or in editing an excerpt. With this new series, that problem is solved forever! Editor Michael Dansicker, a composer/producer/music director, is a seasoned musical theatre veteran, with 100 Broadway credits. He brings his expertise and broad knowledge of the literature to this series. Each excerpt has been given a thoughtful, graceful and effective form. No more illegible scribblings for the poor audition accompanist! An enormous variety of literature is represented, from old standards to movie songs to the latest Broadway and Off-Broadway material. With 100 songs per volume, any singing actor, whatever his or her talents and strong suits, will have many choices. In the preface, the editor gives valuable pointers on the nature of a good audition and some factors in choosing songs. 12 songs from the 1945 musical set on the New England coast: If I Loved You - June Is Bustin' Out All Over - Soliloquy - What's the Use of Wond'rin' - When the Children Are Asleep - You'll Never Walk Alone - and more. Includes b&w photos, a biography of Rodgers & Hammerstein, synopsis and history of the show, and more. Recorded in Prague with the Czech Symphony Orchestra. The CDs in these packs contain two versions of each selection: one with a singer, and one with orchestra accompaniment only. All books in the series contain historical and plot notes about each opera, operetta or show, and piano/vocal reductions of the music. The singers heard on these recordings are top professionals from Covent Garden, English National Opera, and other main stages. Hearts will melt at the exquisite harmonies of this a cappella setting for men's voices, arranged by Deke Sharon for the San Francisco Gay Men's Chorus, conducted by Tim Seelig. Stunning!